Liquid lithium-ion rechargeable batteries are dangerous. They can leak or ignite rapidly if they become overheated. So-called solid-state lithium-ion batteries are a way of reducing these risks. However, these batteries have not (yet) reached the performance level of their liquid counterparts. However, researchers at Empa have now developed a solid-state electrolyte that is able to compete with liquid electrolytes. The requirements placed on an electrolyte are high: it must be conductive, be able to withstand high voltages and remain electrochemically and thermally stable over a long period of time. This applies to both liquid electrolytes and solid-state electrolytes. The latter are admittedly already available on the market, but not yet as mass-produced products, despite being considered to be safer than their liquid equivalents. The problem is that they have a major disadvantage: they do not yet achieve the same high conductivity as liquid electrolytes. At least not until recently. An Empa research team from the Laboratory of Materials for Energy Conversion, led by Arndt Remhof, has recently succeeded in developing a solid-state electrolyte with a similarly high electrical conductivity. The group selected amide-borohydride as the material, which is a complex hydride used in solid-state electrolytes along with oxides and thiophosphates. "With this approach, we were able to raise the material class of the complex hydrides to a new level," explains Remhof proudly. This means that the conductivity of the solid-state electrolyte developed at Empa is comparable to a liquid electrolyte at room temperature. The innovative solid-state electrolyte is also stable at temperatures of up to 150 degrees Celsius, whereas liquid electrolytes pose a safety risk at such high temperatures. However, the project is still in its early stages and will have to overcome a number of issues. For example, the borohydride has so far only been able to handle a voltage of one volt. This is not enough for a marketable battery. In order to tackle this problem, researchers are now working on the development of alternative boron compounds, and have already achieved a voltage of three volts. 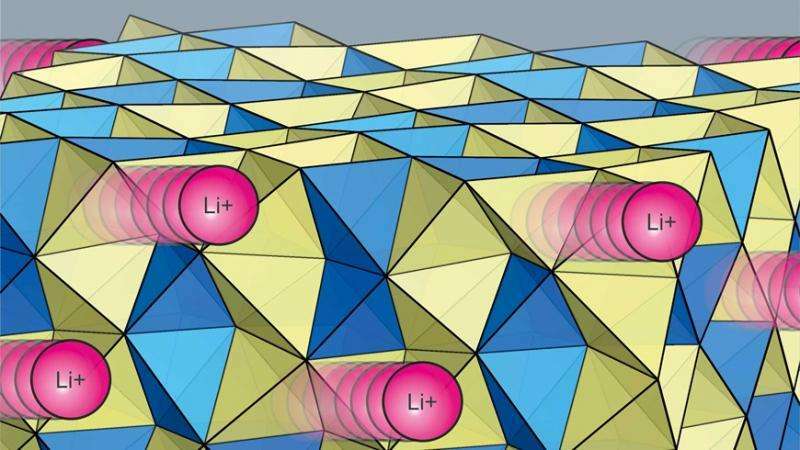 Thus, the first steps have been taken to replace liquid lithium-ion batteries with solid-state rechargeable batteries in the future as the researchers state in the latest issue of Advanced Energy Materials. An another project, the Empa research team is already developing batteries that are completely free of lithium, as there is not an unlimited supply of this; the team recently presented a solid-state electrolyte for future magnesium and sodium batteries (see here).